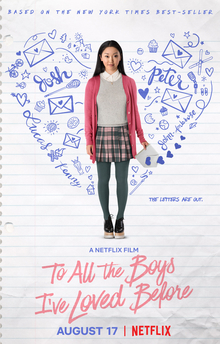 This entry was posted in Book vs. Movie and tagged high school, jenny han, netflix adaptation, relationships, romantic comedy by Esther Huang. Bookmark the permalink. I thought this movie was adorable and I loved everything about it! I definitely want to read the book now.